You can upload images in JPG and PNG format, under 20MB. Please remember: don't upload images that are protected by copyright. You can upload high resolution photos to any section of your Appy Couple account where uploading photos is an option. Your guests can upload photos via methods #2 and #3 above, as long as your site is public, or if they have met your privacy requirements. Depending on what you have set up, they will have either entered the Wedding Code to access your site, and/or entered their name and email address for Guest List Match when attempting to post a picture in the Gallery, write a note in the Guestbook, etc. 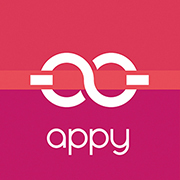 You can download all of your Appy Couple Gallery photos in one go. Log in to your Appy Couple Editor and click the Gallery tab in the top navigation. Click the download icon to download all your photos as a .zip file. Only you as the account holder will be able to download a zip file of your photos from your Appy Couple Editor. However, from the app, guests can save individual photos to their camera roll. The photos are not downloaded at their original resolution, they remain slightly compressed to ensure quick download times.